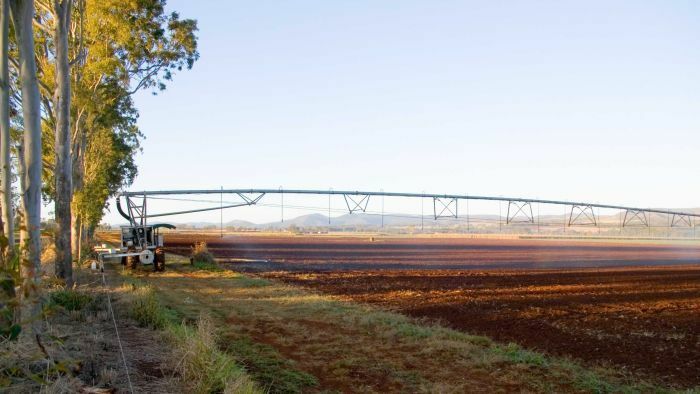 A 15-year-old boy has been electrocuted and another boy is in hospital after hitting power lines while moving farm equipment on the Atherton Tablelands in far north Queensland. Police said the boy died at the scene after the accident on Friday. The other boy, also aged 15, was taken to Atherton Hospital with burns. The boys are believed to have come into contact with power lines while they were moving irrigation pipes on a farm at Tolga about 6:00pm. Officers from Workcover Queensland are at the scene assisting with an investigation into the fatal accident. Police said a report would be prepared for the coroner. The accident in Tolga came a day after a separate incident involving power lines on the Gold Coast that left two teenage boys with critical injuries. Rex Warburton and Jake Walton, both 17, are in a critical but stable condition in intensive care at the Royal Brisbane and Women’s Hospital with burns to more than 50 per cent of their bodies. A third 17-year-old was released from the Gold Coast University Hospital this morning. He suffered burns to his hands when trying to put out his friends’ burning clothes. He then called triple zero for help. Police said the teenagers were found under a rail overpass near Jacobs Well-Pimpama Road, just after 8:30pm on Thursday. A Queensland Ambulance Service spokesman said the boys were sitting on concrete barriers supporting a rail bridge when the high voltage wires arced and hit them.